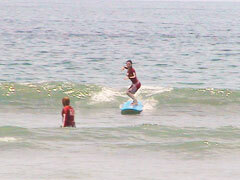 Bali In Syabali Surfing School, you can take a lesson by Japanese instructor. In each lesson, Japanese instructor and local assistant support you, so you can take detailed lesson. This is the good school for who want to learn surfing seriously and building up skills. 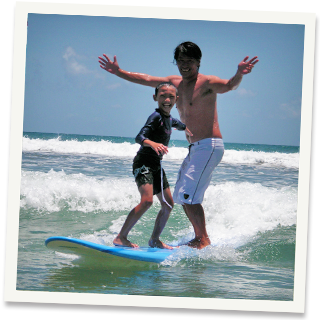 In Syabali Surfing School, you can take a lesson by Japanese instructor. In each lesson, Japanese instructor and local assistant support you, so you can take detailed lesson. 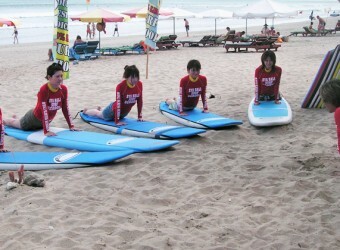 They offer individual program for each student, and it is recommended for who want to learn surfing basic skills. - Lesson program is changed depend on level.